Make it golden! From the Golden Gate Bridge to the golden sunsets over the Bay, San Francisco is a city of beauty and wonder at any elevation. 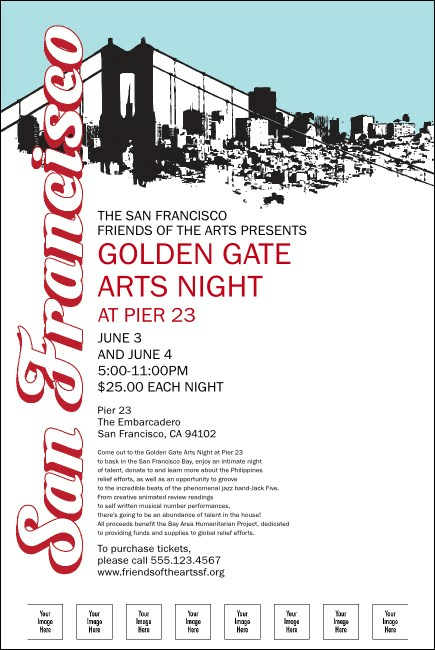 Capitalize on that golden feeling when you advertise your upcoming event with this funky, full bleed, image upload San Francisco Poster template. When the lights go down on the City, shine with TicketPrinting.com.